This game is perfect for practicing and reinforcing the bossy OR sound. 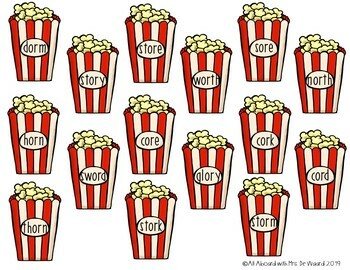 OR word families included: orm, ork, ord, orn, ory, orth, and ore.
Students will have fun with this popcorn themed bingo game! Each player will select a game board. Next, they will take turns spinning the word family spinner. Then, students will need to cover a word on their bingo board that matches the word family that they spun. The first student to cover their board is the winner! 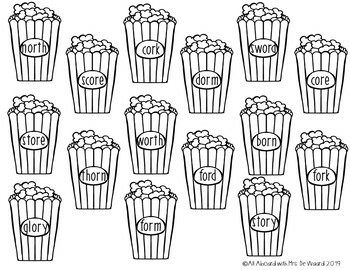 A black and white version is included as well as a worksheet. 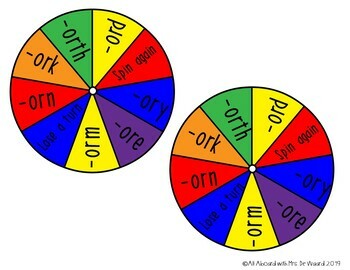 My students love using this game during word work center or as an early finisher activity. 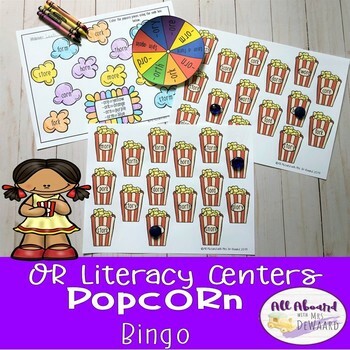 Find this game in my OR Literacy Centers Bundle!